The GEF-Onudi project for sustainable development: biomass gasification, which is carried out in the special municipality Isla de la Juventud, Cuba, is the central theme of the seminar to be held in the Palace of Conventions in Havana, where will participate representatives of Argentina, Mexico, Dominican Republic, Uruguay and other countries. Diego Masera, Head of Unit for Rural and Renewable Energy of Onudi, said that Cuba promotes clear and advanced policy in the use of renewable energy, and stressed the decisive role of government support for the realization of the project. This included facilities in Isla de la Juventud wind and photovoltaics, and more recently a gasification plant biomass of forest called La Melvis and a smaller demonstration unit of this type of energy in the town the Cocodrilo, supplying a school, a bakery and several homes. On behalf of the Ministry of Energy and Mines, Algeria Balboa, the director of Renewable Energy of the agency, said that the country has a policy to increase the share of renewable sources in electricity production. 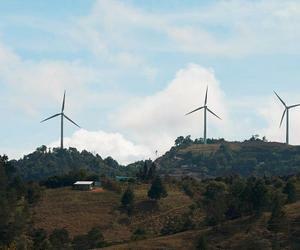 The seminar, which concludes the project implementation, meets Monday and Tuesday in the Conference Center, and the second day delegates will move to Isla de la Juventud, where they will remain until Thursday to know the impact of the results of this program in the development of renewable energy in the territory. This experience, received financial support from the Global Investment Fund (GEF), the UN Programme for the Environment, and has been implemented by Onudi.